The Me & You Book is a Keepsake book for Mothers and their Daughters. It is a way for us as Mums to pass on bits about who we are, our memories, favourite moments, dreams and desires for ourselves and for our daughters. The author of the Me and You book, Nicolle Jenkins lost her own Mum at a young age, and didn't really know much about her, she writes "at the core of the reason why I am doing this - is this book allows me to provide a permanent record of me, for my daughter"
Sometimes, I know it can be hard, we don't have the opportunities, and we just don't take the time to say the things that we really want to, and this book provides the opportunity to record it, for our daughters. I think that it is so important to take the time and really reflect on the things you want to pass on. Time is so fleeting, and we forget those important moments, those times that we desperately want to hold on to, but soon forget. 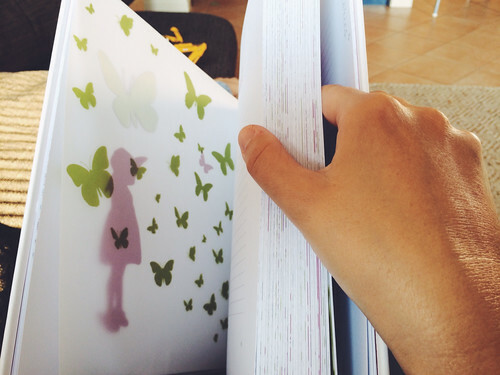 This book helps to keep those memories intact and to pass them on. It makes me smile to think that not only my daughter, but future generations that I won't even meet may get the opportunity to know a little about their heritage through this book. Just reading through this book give me goosebumps and brings a little tear to my eye, it makes me really reflect on both my life and the dreams I have for my little girl. Every night I tell my kids 'I love you, more than you will ever know'. But I know that this book, will help them to realise how loved they are. I really cannot wait to start filling it out! Although, I'll have to write a draft first, I really don't want to mess up this book! What a perfect gift for an expectant Mum, or a gorgeous present for anyone who has a Daughter, no matter their age! You can find more information about how to get your hands on the Me &You Book Here and make sure you head over and show them the likey love on FACEBOOK too! Now don't forget about the GIVEAWAY. Leave me a comment below about your favourite memory of you and your Mum, or of you and your daughter! Open to Australian residents only, one entry per person, winner will be chosen on 26th November, this is a game of skill winner will be chosen based on the answer to the question. 24 comments on "Me & You, the Keepsake Book & Giveaway"
what a gorgeous book! My favourite memory of my mum was that she ALWAYS made time to read to us when we were little. Some of my best childhood memories would be of sitting with my brothers on my bed, with mum reading us another Enid Blyton book, or another great Australian Classic. And she did voices. Amazing voices! She was my inspiration to enjoy reading, just as I hope that I am to my kids. Sadly mum has MS and her eyes are affected so reading is not something she can do a lot of. Oh that's an awesome idea! My favourite memories of me and my girls, are simply the times they want to chat. I'm always blown away by how much they love me, because I really don't deserve it. My favourite moment with my oldest was recently. I was feeling hurt that she hadn't wanted to do anything with us for her 18th but then did with my exes' family; until I found out that she hadn't with me because she felt comfortable expressing her need not to have a fuss with me (and had not felt close enough to the others to say no to them). Would I prefer she was comfortable telling everyone she knows what she wants, of course. But for now I take comfort in being a safe place for her to be herself. My mum and I didn't have the best relationship when I was growing up but my best memories are being made now. It's great to be an adult and her friend. I feel like as a mother myself I understand why she did many of the things she did and I understand just how much she loved me. My favourite memory includes my twin girls. I was watching some sappy show on TV and getting teary. They looked at me, both came over and said 'It's all right, mum' and then my eldest girl said to her sister 'I think she needs a double-barreled hug' and they both cocooned me in a delicious hug. So blessed to have such kind-hearted babes and it would be lovely to give them something to treasure as much as I treasure them. I love the header. A change is as good as a holiday I think. I have great memories of my mother driving us in the car. She would suddenly become really silly making up all sorts of voices, ridiculous stories and swerving all over the road. I also loved that on road trips, when Dad wasn't around, she would ignore the clock and take the time to stop and look in antique stores, swim in country pools, let us kids get out and walk over bridges and she would meet us on the other side or just play in the various parks we would normally pass. My favourite memory of my daughter was the day she was born, we didn't find out what we were having as she was our third baby and one we were never supposed to have. So on the day she was born and I was told I had a daughter I cried with joy and I have cherished every moment with her since. My favourite memory of my Mum is a funny one, well at least to me (not so much to her!). I was home from school sick, tucked up in bed and clearly for a brief moment in time she forgot I was there because she farted, and so loud! I heard her doing it as she walked up the stairs. I giggled, she came in to my room the colour of a beetroot, so embarrassed!! Up until that day I'd never ever heard her do it, she had my brother and I convinced that Mum's didn't do them, that it was physically impossible!!! My favourite with my mum would have to be my fitting for my wedding dress which she made herself. It fitted perfectly and was just the way I wanted. I simply admire her sewing talent, perfection, many hours & love that she put in just for me. She even made my bridesmaids dresses! I'm so greatful to have a mum that could do that for me. My 71 year old Mam told me one day years and years ago that all she ever ever wanted as a child was a wind up jewellery box with a magic ballerina inside that pops up & music plays when you open the lid. She said her mother would never get her one. So when my parents came from Ireland to visit us in Perth I flew up to Singapore to surprise them. I organised with the hotel reception staff to hand her a parcel upon check in. So there's my Dad filling in all the paperwork etc & me hiding behind a tall plant in the corner. I watched my Mam read the attached letter (handwritten by a friend for me) & it said "Just because your mother wouldn't buy you one doesn't mean I can't !" You could see her mind ticking and she looked baffled. So she unwrapped the parcel, opened the cardboard box and inside for a red velvet love heart box.... She opened it & up popped a ballerina and the music started to play. She then looked around in bewilderment and just couldn't work it out!!! I stepped away from behind the plant, went up & tapped her on the shoulder and we all stood there hugging & crying & all she kept saying was "I just don't believe it, I just don't believe it"
The book you are giving away looks lovely! happiness and sweetness she has got. My favourite memory of me and my Mum is my wedding day, she gave me a keepsake book, I had no idea she had kept one. I spent most of the next day in tears (happy ones) reading it and today 13 years later, I still can't pick it up without those happy tears making an appearance. Taking my daughter home from the hospital was my favourite memory. She was so small when she was born we were stuck in the hospital for what felt like forever. I think the days leading up to Zee's birth, when I took te time to jut be with Punky are some if my best memories. I forgot about anything that wasn't important and just soaked up our last days of it just being the two of us and I am so glad I did, it was such a special time. Seeing her meet her little sister for the first time and giving her a huge hug after I hadn't seen her for 4 days comes almost on par with that. Those are the things I will remember when I'm old and grey and holding my grand babies!